Just Whom Do We Serve? Chances are, your library is chock-full of people. Some are staff and there may be the occasional vendor. But the vast majority—those who visit libraries—are part of a group that library workers have had significant trouble defining. How library workers view library patrons reflects our philosophical worldview. Much has been written on how patrons perceive libraries and librarians, and maybe now is a good time to turn the tables. How do we, as librarians, view our patrons? How we perceive them is reflected in what we call them, and judging by the variety of terminology, we have significant trouble pinpointing that perception. In my opinion, a worldview that sees library users as patrons is one in which the patron (benefactor) is above libraries. According to this worldview, we should feel lucky that they support our work, and we are forever indebted to them. Some call the term “patron” archaic, while others have no idea what a library patron even is. In the end, the perception is that the patron is superior to us. For those with a worldview that encompasses the term library customer, the individuals served at the library are people who have something that we want (usually money). They are just a number. We don’t owe them anything; on the contrary, they owe us. In contrast to the patron worldview, the perception associated with the term library customers is that they are beneath us. The customer needs what we have, but we don’t need them. Users are people who consume without creating. This worldview does not acknowledge all they create because of libraries. As Lankes stated in October 2010, computer scientists and drug dealers have users; libraries do not. This term does not really reflect how we view patrons. 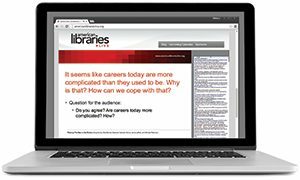 The perception associated with a library user is one in which the user is beholden to the library—she or he has to have something the library offers, but we don’t need them. What does a worldview that sees library users as “members” entail? Membership implies ownership and an active role; it is truly an interdependent relationship with library staff. Some argue that members in particular deserve excellent customer service. Moreover, a member’s privileges can be revoked, which is common for someone who has excessive late fines. Most importantly, people served by libraries view themselves as members because they carry a library card. Dictionary.com defines member as “one of the persons who composes a social group (especially individuals who have joined in a group organization).” Referring to a patron as a member acknowledges the social role of libraries in the community. Moreover, membership requires action and activity. The library member needs to come into the library, or visit virtually. Whether they become social or active in the library is not a major factor; the important thing is that the library has created an environment in which they can do so. This worldview fully demonstrates that library members are co-equals with library staff. Many people proudly join organizations as card-carrying members. They flash their cards, and take pride in their membership. This sociological phenomenon is just waiting for us to tap into. What would libraries look like if we carried this member idea even further? Much like other organizations, institutions, and businesses, libraries should consider implementing a preferred member card program. This preferred member card could be purchased through an annual fee and would have perks and privileges. For example, hot new bestsellers are purchased for regular library members and extra copies purchased for preferred members. Perhaps preferred members would not be subject to late fines, or entitled to extended loan periods, being cited on an honor roll, or invited to a special party? The preferred member card could be a part of a larger membership and fundraising drive. 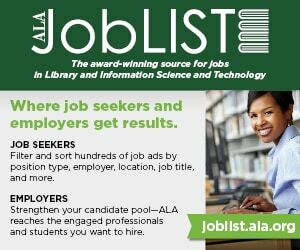 Much like NPR or PBS, libraries can incorporate preferred membership drives into their National Library Week or National Library Card Month promotions. Really, the sky is the limit. The advantages are numerous. Libraries would receive an additional shot of funding, and in this day and age, who doesn’t need a few extra bucks? But the benefits don’t stop there. Both preferred and regular members receive benefits as well. The regular patrons get more materials and services through funding provided by preferred members, while the preferred members get rewards for being frequent library users and acknowledgment for being library supporters. I would be proud to mention that I am a preferred member of my library, and others would too. Whether you decide to run with the membership drive or not, it is important to remember that how we view “patrons” impacts how they view us. Your best bet is to ask what they prefer to be called, but keep the term in line with your philosophical outlook. For me, this means a partnership—equals or co-members on the same team. I like the idea that membership is social and active. So I proclaim boldly: Those people in the library are library members with all the rights and privileges appertaining thereto. ANTHONY MOLARO is associate dean of library and instructional services at Prairie State College in Chicago Heights, Illinois, as well as a PhD candidate at Dominican University in River Forest, Illinois.